Crowhurst Gale Estate Agents are pleased to present this deceptively spacious extended detached home in the sought after area of Bilton, which offers flexible accommodation over two floors. In brief the property comprises: porch, entrance hall, lounge, games room, kitchen/breakfast room, dining room, family bathroom and a bedroom to the ground floor. To the first floor there are two double bedrooms and an en suite to the master bedroom. The home further benefits from gas central heating, double glazing, front and rear gardens, car port, off road parking for several vehicles. This is a property that must be viewed to fully appreciate what is on offer and comes with no chain. Call to view 01788 522266. Wooden glazed double doors to front aspect. Radiator, power connected. Fitted cupboard with sliding doors housing the combi boiler and shelving. Double glazed french doors leading onto rear garden and windows to either side. Feature fire place with multi fuel burner. Radiator. Double glazed window to front aspect. Dado rail, radiator. A fully tiled suite comprising: bath with mixer tap and shower attachment over. Pedestal wash hand basin, low level W.C, fitted mirror with storage behind. Extractor fan, radiator. Double glazed french doors leading onto patio area. Radiator. Door to storage cupboard. Double glazed window to rear aspect. Fitted dressing table and units. Eaves storage space with hanging rail for wardrobe. Radiator. Double glazed window to rear aspect. Eaves storage space with hanging rail for wardrobe. Radiator. Enclosed rear garden with paved patio area ideal for alfresco dining. Stone area with various raised planting beds. Access to double workshop with power and light connected, window to side and rear aspect. Further access to car port. Lawn area and patio area. Access to two garden sheds and green house. Access via electric door. Polycarbonate roof. Power connected.  If you are considering selling your property, we would be delighted to give you a free no obligation market appraisal. Our experience, knowledge and marketing with local and internet advertising will get your property seen and stand out from the crowd.  Please contact us to arrange your property appraisal. Crowhurst Gale Mortgage and Financial Services Ltd can offer professional mortgage advice and will help to find the right product that will suit your budget and needs from virtually the whole of the mortgage market. Our solicitors work on a no sale, no fee basis. They work longer hours than the conventional solicitor and are available weekends. Please contact us for more information on our conveyancing services.